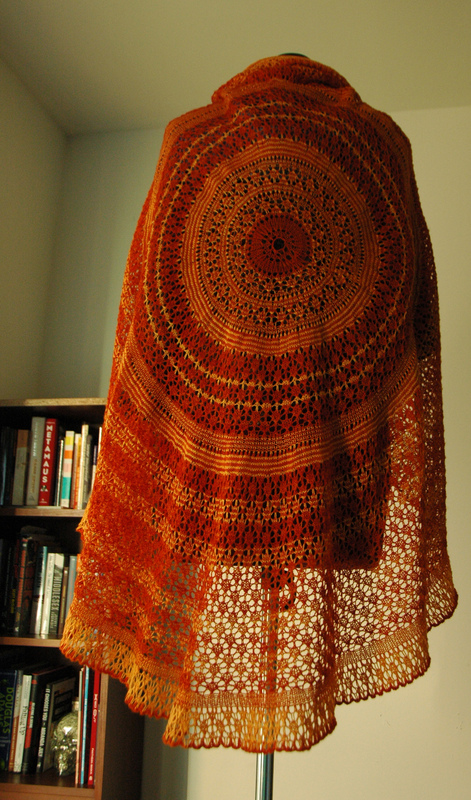 I’m currently totally in love with circular pi shawls, knit with multiple colors. 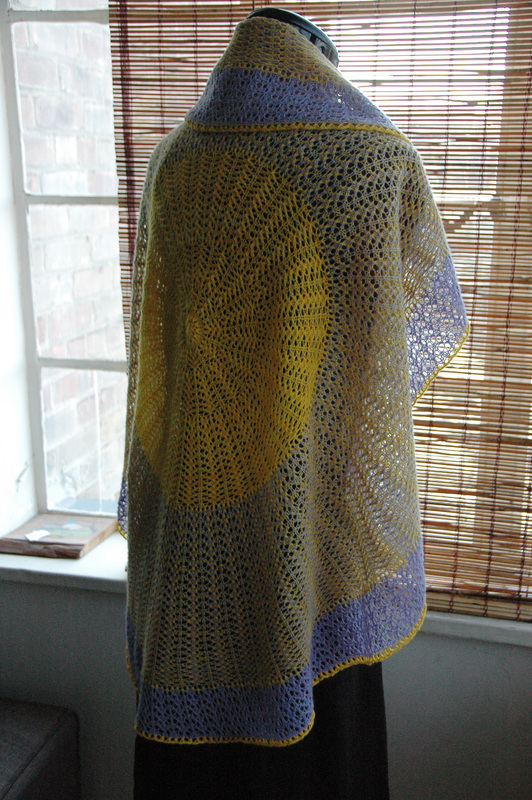 Love knitting them, love looking at them, love designing them. One of the best parts is how you can take two skeins that (on their own) wouldn’t make very sizable shawls, and knit a huge shawl. 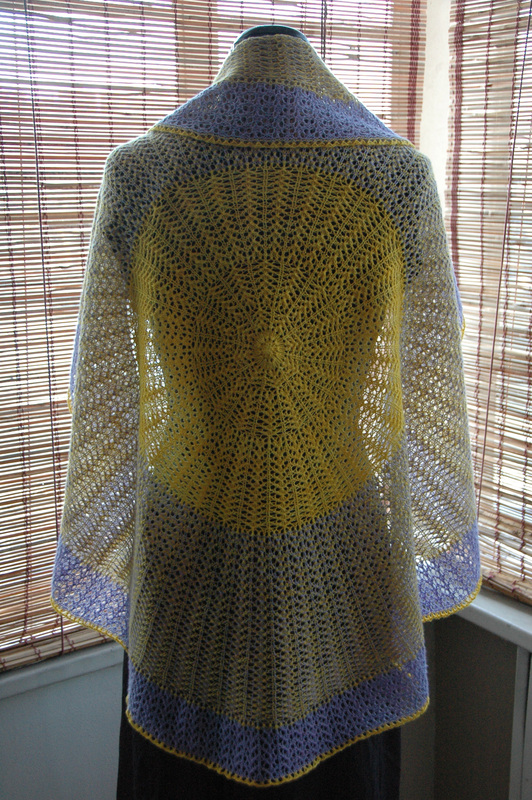 Anwar is knit out of two skeins of Malabrigo lace, which has good (not astounding) yardage, but the finished shawl is 36 inches (91.5 centimeters) in diameter. 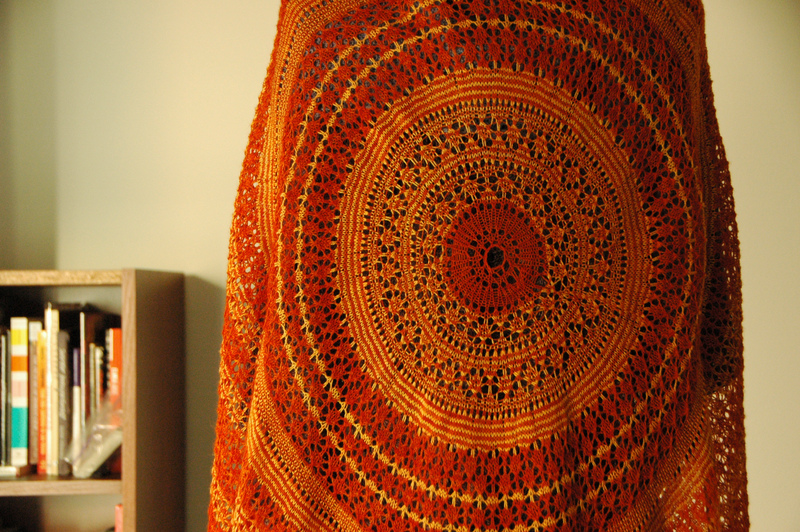 The other best part about adding color to your shawls is it looks waaaaaaay more complicated than it actually is. You could do stripes. Or blocks of color. You could mix blocks of color and stripes. Block of color A, stripes of colors A and B, block of color B, like Anwar. Or mix them more randomly like in Eirwen. 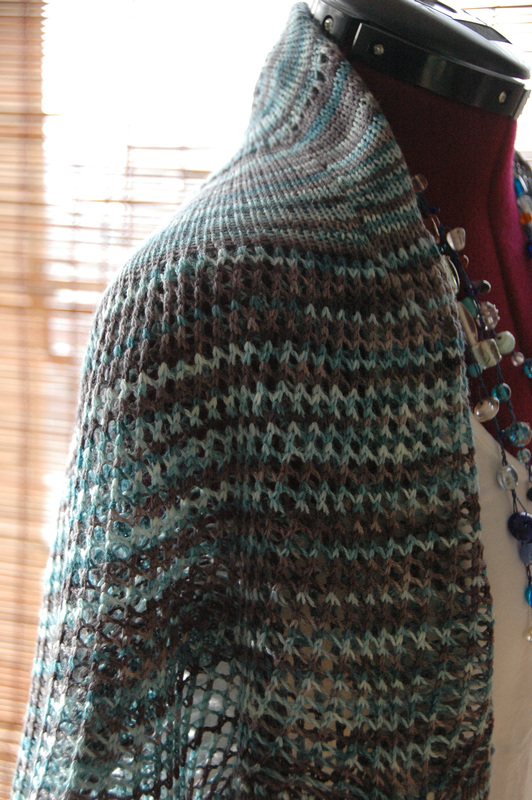 Or work an intricate striping sequence like the ombre pattern in Mayur. 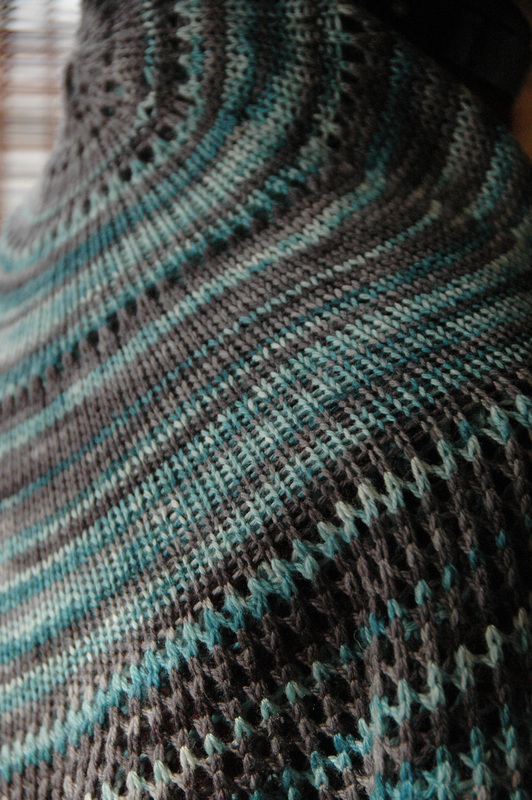 And I might have started another color work shawl last night……. at least if I’ve got a problems it’s a very pretty problem.